The Ethiopia Football Federation has confirmed the appointment of Mariano Barreto as the new coach of the national team. The 57-year-old Portuguese signed a two-year contract on Tuesday to replace Sewnet Bishaw, who was sacked in February after a poor campaign at the African Nations Championship in South Africa. Barreto's main task will be to lead the Walya Antelopes to the 2015 Africa Cup of Nations in Morocco. Ethiopia are one of 21 nations who have gone straight into the group stages of the Nations Cup qualifiers, which get underway in September. Barreto told BBC Sport his success would "depend on the level of my work". He added: "I know Ethiopian players have natural talent but most of the national team players are above the age of 26 and more so we have to look for the young boys if we want to qualify for tournaments, so we'll work to improve and change this situation. "In all the countries I have worked I have produced top players, so I hope when I leave Ethiopia I'll see a top player on TV and he says I helped." 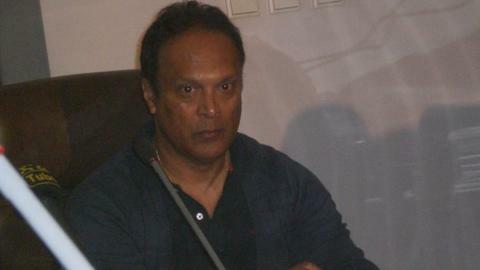 Barreto has experience of managing an African nation before, having taken over as Ghana coach in 2003. But he quit in September 2004 after just nine months in charge, citing problems in communications with the country's football association. He went onto coach Portuguese side Maritimo and several other clubs in Europe including Russian sides Dynamo Moscow and Kuban Krasnador.